​​​Thirty years ago, I began a new journey of my life when I came to El Paso, Texas as the Rabbi of Congregation B’nai Zion. The path that I followed led me to a new experience which I never expected. The first week that I was in this new community, I met three individuals who had crypto-Jewish backgrounds. One was a practicing Catholic from Juarez whose grandmother had been lighting candles in a dark room of the house every Friday night, and offering a prayer in a language that he didn’t understand. 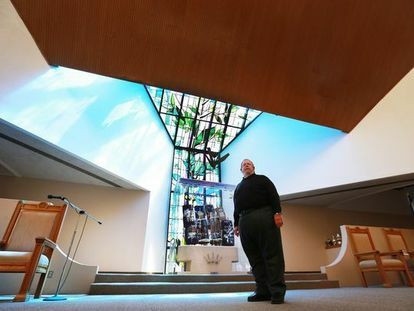 The second was an attorney from El Paso who attended her aunt’s Catholic funeral, and then learned that she had Jewish roots when she saw that her nieces were practicing the Jewish traditions of mourning at their home. The third was a technician who showed me that although he was raised as a Christian, his grandmother had just given him a Jewish star and the rest of her grandchildren other Jewish symbols as sherevealed to them her secret Jewish identity. These three unique experiences were just the beginning of what as become my passion, namely, teaching the Jewish and general communities about the phenomenon of the existence of the descendants of the Spanish Inquisition who are discovering their Jewish roots and at the same time reaching out to those who are interested in returning to their Jewish heritage. These three decades of my connection with the Anusim, which is the Hebrew word for crypto-Jews, has led me to many projects and activities in this field. The Hebrew word “Anusim” literally means those who are raped or forced to do that which is against their will, which describes the heinous acts which the Church committed against the Jewish people during the Inquisition. Some of these activities have included an annual Anusim conference for the past thirteen years which has presented outstanding speakers, lectures and cultural programs; scholarly presentations, musical concerts, and art and photo exhibits at the Anusim Center, and Anusim tours of Israel. In August of 2014, the Anusim Center became the fulfillment of my dream as it was dedicated here in El Paso. The ceremony of dedication included dignitaries from Mexico, the Mayor’s office of El Paso, leaders of synagogues and many civic organizations. It is my hope that the Anusim Center will be a source of information, knowledge, and education, to all those who visit and learn about the history of crypto-Jews. May this Center provide the means and inspiration to help bring that day closer when all who wish to, will begin their return to their Jewish heritage , when all of humanity will become more understanding, compassionate, and respectful toward one another. and when the entire world will work as one to bring true Shalom to the world.